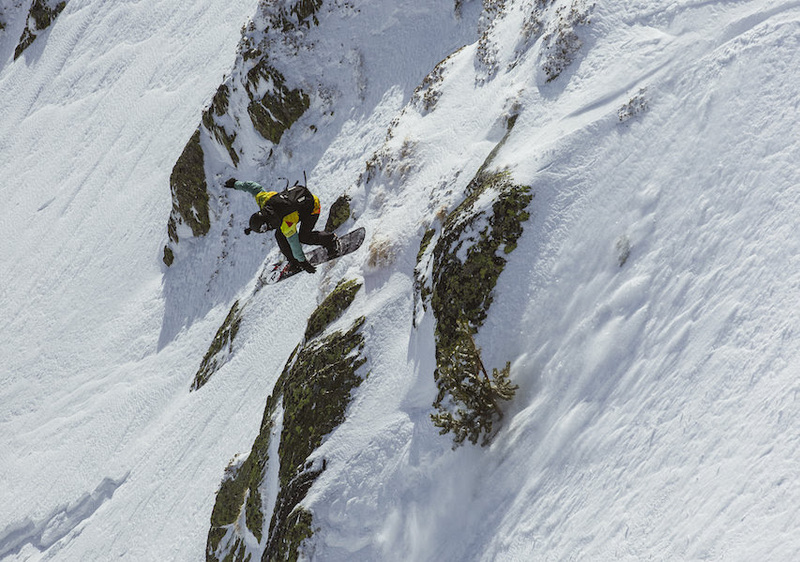 After playing the waiting game in Andorra due to unseasonably spring-like conditions, the world’s best freeride ski and snowboard athletes gave it their all this morning in the final chance to qualify for the finals of the Freeride World Tour. Blake Hamm did a LOT of spinning today. FWT photo. Blake Hamm brought his strong freestyle game to Andorra, sticking a switch 180 followed by two big 360s and a huge bottom air to take his first career FWT win. The world title race will now head to Verbier with a second place podium by French Wild Card Victor De Le Rue, who threw down a solid run mixing a fluid line with strong freestyle elements, and Davey Baird’s third place result that he earned with a solid air game, which included huge cliffs at the top and bottom. Leo Slemett where he is most comfortable - sending huge cliffs. FWT photo. 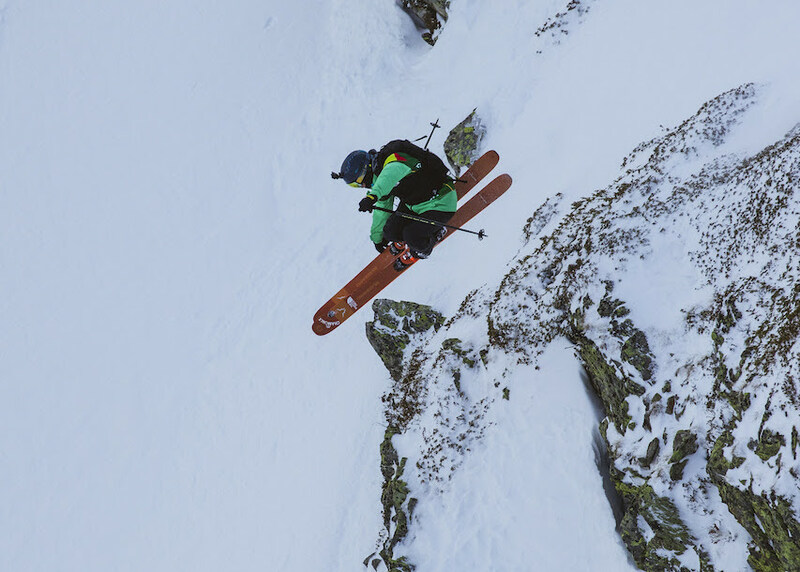 French skier Léo Slemett earned his second podium in a row by showcasing his flawless style, with a run including three nicely stuck 360s and a clean and fluid finish that he closed out with a huge bottom air. Sweden’s Kristofer Turdell kept his world title hopes going strong with a really fluid and committed run, which included an extremely technical top section, a big backflip, a 360 and a cleanly stomped bottom air. 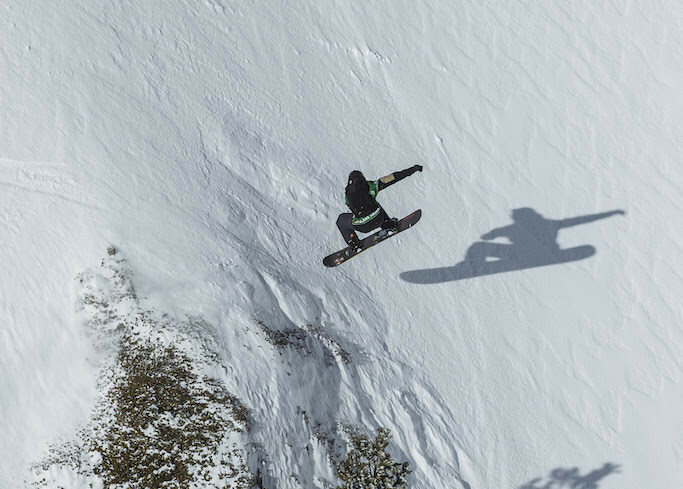 Rookie Andrew Pollard earned his second podium in a row, stringing together a creative run that featured a stylish 360 at the top and smoothly stuck big bottom air. Marion Haerty proved her dominance this season by winning the overall title before the season was even over. FWT photo. France’s Marion Haerty clinched her second career FWT World title with the smooth, committed and fluid style she has rightfully earned the reputation for over the years. Her first-place run today began with a big air at the top, fast and fluid riding with another solid air in the middle and a final clean air at the bottom. Russia’s Anna Orlova chose a scary and technical entry and stomped two airs at the bottom to close out a strong run. 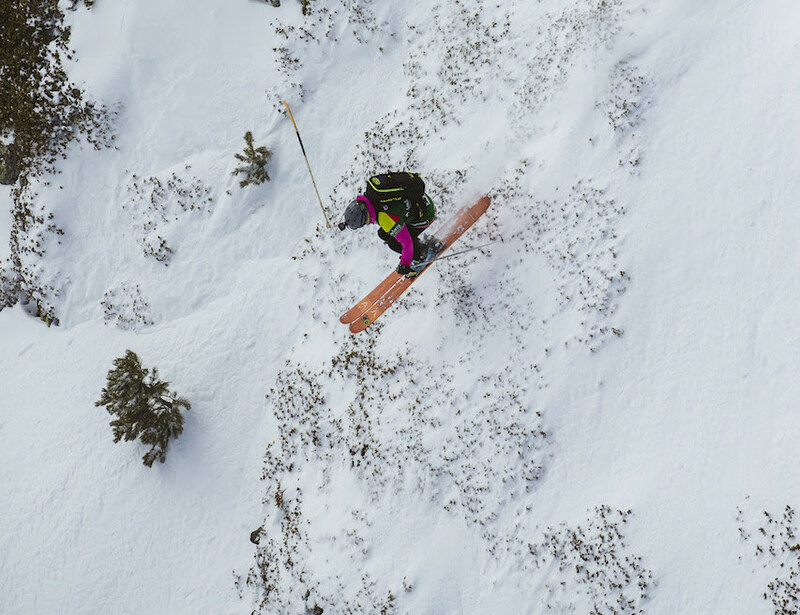 USA’s Erika Vikander threw together a healthy mix of fluid riding, freestyle and a technical line choice at the bottom with a mandatory air-in chute. Jackie Paaso got the win she's been hunting all season. FWT photo. USA’s Jackie Paaso meant business today when she came flying out of the start gate with two big back-to-back top section airs, an absolutely enormous stomp in the middle, and another big air and stomp to close out her dream run. Italy’s Arianna Tricomi kept the dream for her second world title alive with a run that featured two stylish 360s and a solid bottom air. USA’s Jacqueline Pollard continued her dominance in her rookie season to keep her world title hopes alive with a fluid line from top to bottom with clean airs in every section.